Riku is Sora's best friend. he is 15 in the first KH, and he also lives in Destiny Islands. He met Terra, in BBS, and Terra granted him the ability to wield the keyblade in the future, choosing him as his sucessor. 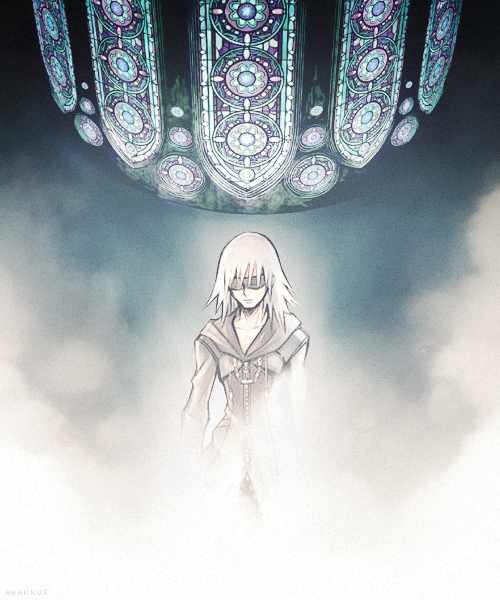 But, Riku gave in to the darkness in KH I, and helped Maleficent, in exange for her promise that she would save Kairi. He fought with Sora, and even "stole" the keyblade in Hollow Bastion. In the end of KH I, he helped Sora, telling him that Ansem was controlling the darkness in his heart, and closed Kingdom hearts with the King, allowing Sora, Donald, Goofy and Kairi to escape. In CoM, he is also in Castle Oblivion, and fights his way through it. 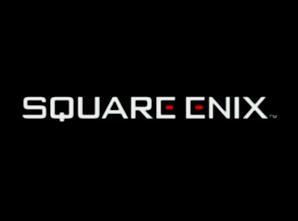 He faces Vexen, Zexion and a copy of himself, that Vexen made, a copy that is immersed in darkness, and mocks Riku for not accepting it. Naminé helps him once, in the form of Kairi, and so he accepts that he has both Light and Darkness in himself. He figths with Ansem, and defeats him, but he swears that he will return. 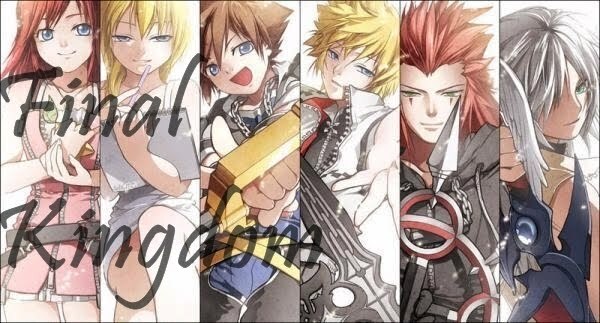 After these events, he starts to help Sora in every way he can. 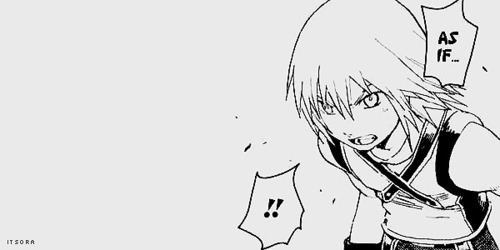 He wears a organization cloak, and the other organization members call him the impostor. Xion is sent to kill him, but he defeats her in Beast's castle, and he is shocked to see her appearance. 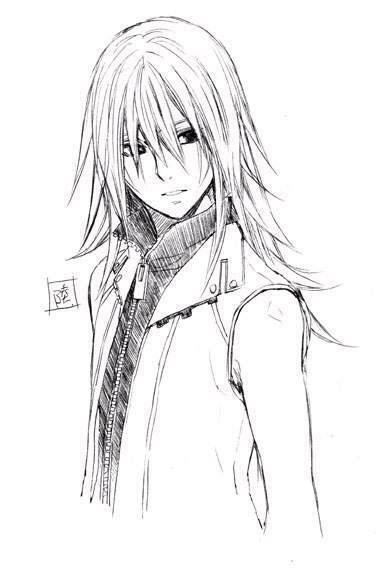 He is the one who convinces Xion that she should return to Sora. He is the final boss in 358/2 days, he fights with Roxas to take him to the virtual Twilight Town, in order to help Sora. 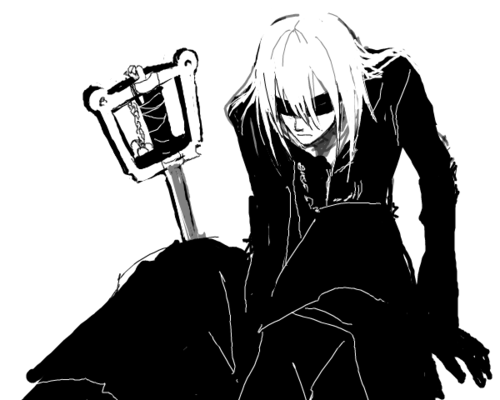 During this fight, in order to win, he lets the darkness take over him, assuming the appearance of Ansem. He always wears the hood of his cloak so that no one can see how he looks like. 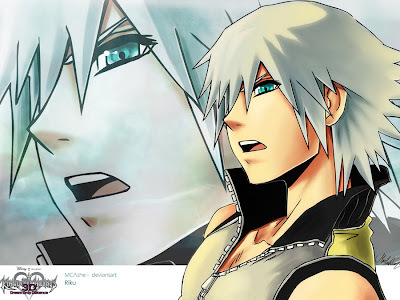 He allies with Diz, and spends the whole KH II game helping Sora from afar, giving him clues and such. In the end, he meets with Sora and Kairi, and reveals who he really is. Sora gets really happy to finally find him. 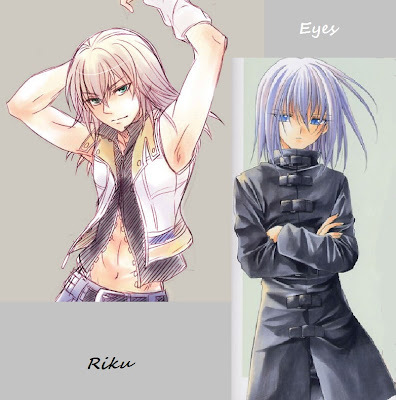 The explosion of the machine the real Ansem was using to destroy Kingdom Hearts causes Riku to return to his usual appearance. The final battle in KH II is fought by Riku and Sora, and they destroy Xemnas, going to the realm of Darkness. Riku almost gives up, but Sora takes him back through the door of light that opens, and they reunite with everyone in Destiny Islands again. Riku is also very loyal to his friends. Inspite of the fact that he turned against Sora in the first game, he tries to atone for that by dedicating all of himself to helping Sora during 358/2 Days and KH II. 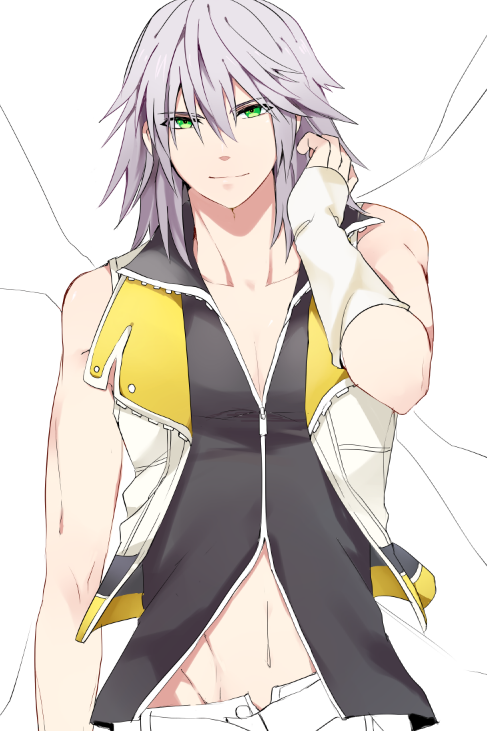 His name means "Land" in japanese, once more relating him to Terra, whose name also means "land"